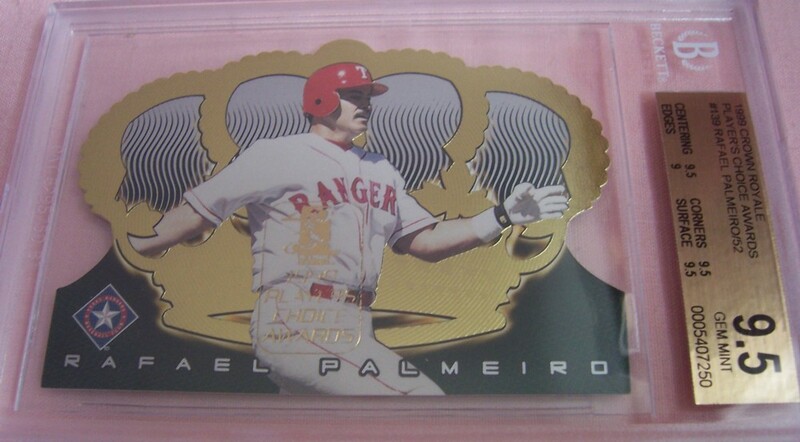 Extremely rare 1999 Crown Royale Players Choice card of Rafael Palmeiro graded 9.5 (GEM MINT) by Beckett Grading Services. ONLY 52 OF THESE CARDS WERE MADE AND MANY WERE DISCARDED. ONLY ONE AVAILABLE FOR SALE.